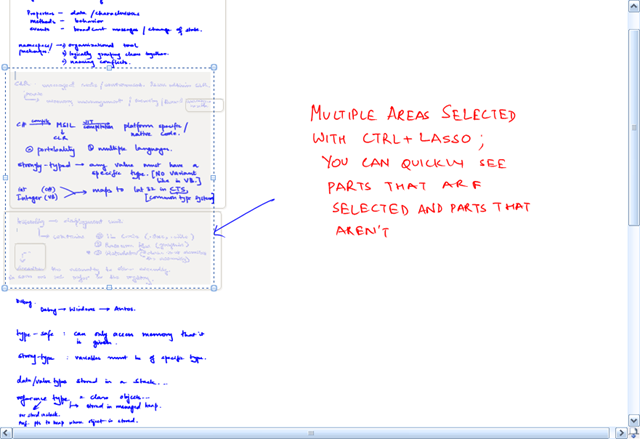 Picking up on John’s post on using OneNote in the classroom, I realized that class notes need a lot of restructuring. I thought i’ll share the technique I use to move things around in OneNote. 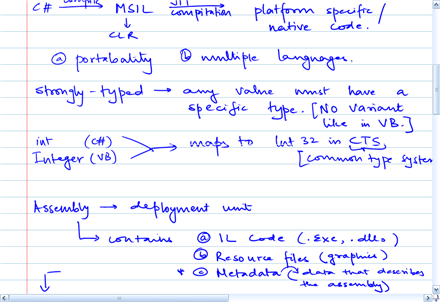 OneNote is great for moving around text in containers, however it doesn’t always behave so well when moving ink. A technique I often use to move things around is a combination of zoom and the lasso tool. The lasso tools allows me to select exactly the things I want to move – meaning I can move graphs and associated text together; while the zoom in function shows me exactly how the placement is going to affect other text. Quick Tip : The right click button on the pen is mapped to the lasso tool by default I think, hence you can quickly move things around with the lasso tool even as you take notes 🙂 . Lasso is also very handy to delete large portions of text. It takes a little practice to use the lasso tool if you haven’t used it before, but once you get the hang of it, it is much quicker. This entry was posted on May 2, 2008 at 12:42 am	and is filed under One Note Usage, OneNote. Tagged: classroom, moving things, OneNote. You can follow any responses to this entry through the RSS 2.0 feed. You can leave a response, or trackback from your own site.